lyrics is obstructive in music play! 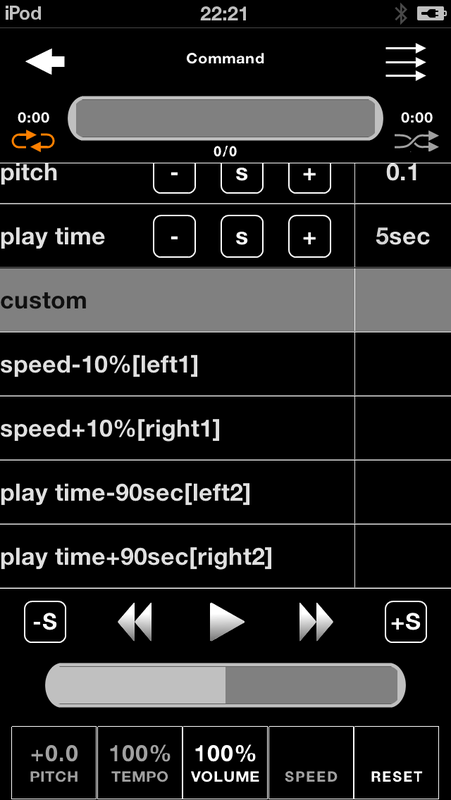 What is [option][Sound Play Logic]?Difference of STFT2 and STFT and Lerp it? touch does "music" or "movie"
If artwork is registered, an image is displayed in the background. But it takes time when I update the first start and information. 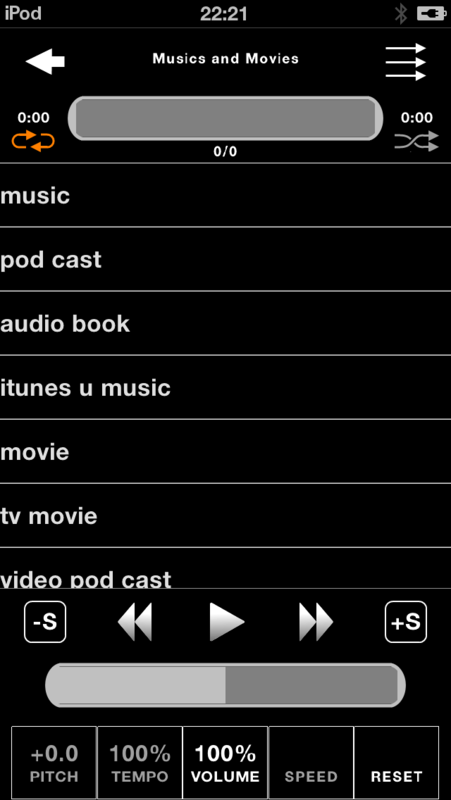 touch does "option" from a list. list is displayed when I do swipe. It is read at the time of start using cache on the next time. 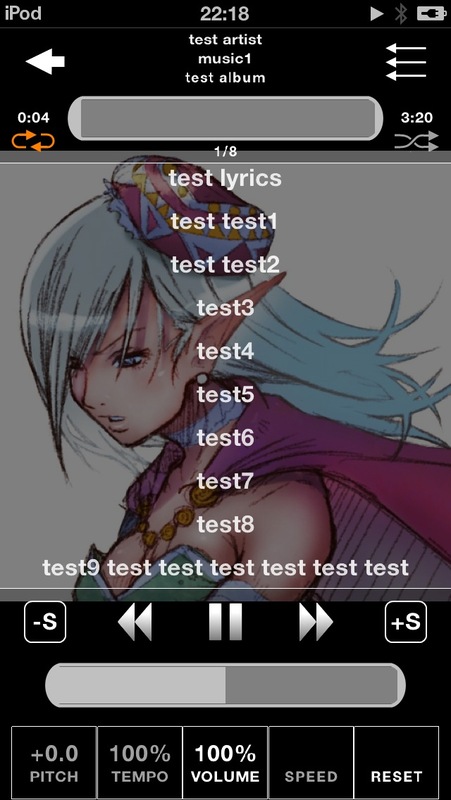 TenMediaPlayerAd [save in each song unit] [ON] Setting is completion in this. 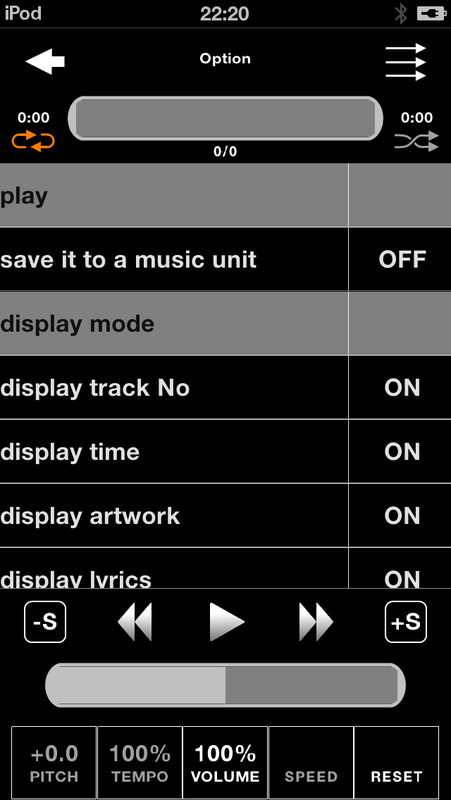 TenMediaPlayer [volume in each song unit] or [volume in each song unit] [ON] Setting is completion in this. 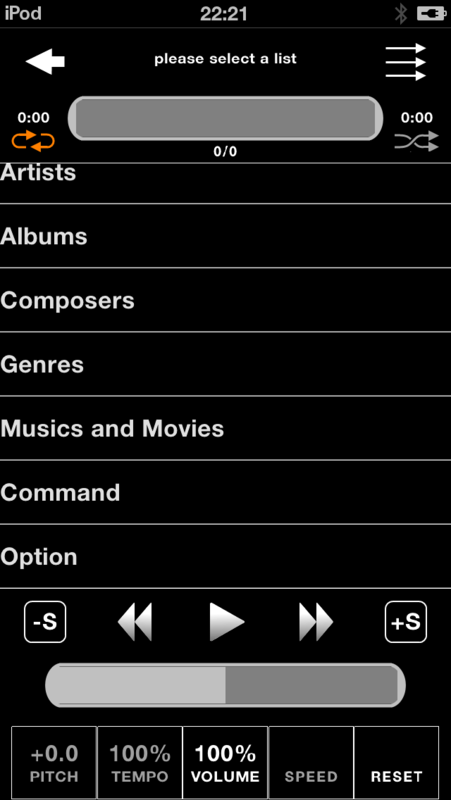 Or this is possible by assigning a "ui disappear" in the custom button on the "command"
What is [option][Sound Play Logic]?.Difference of STFT2 and STFT and Lerp it? PITCH and TEMPO in the case of 1.0. Or a change of SPEED does not influence it. I can jump when I click the center area of the letter which a title, an album name, an artist are listed in.